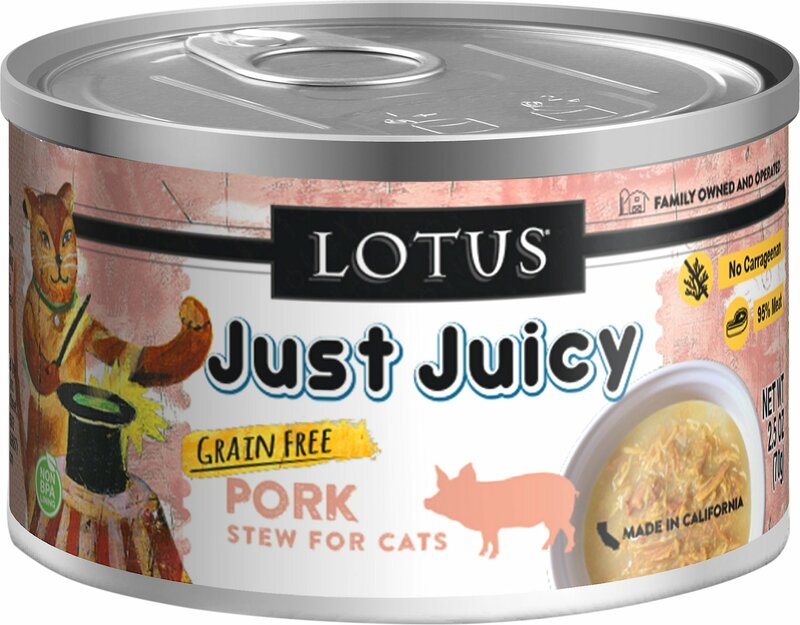 This Just Juicy Pork Stew by Lotus contains 95% meat, which makes it the purr-fect recipe to suit your little carnivore’s natural desire for a protein-rich meal. 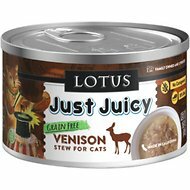 Made with real pork as the very first ingredient and pork broth for lip-smacking moisture, this grain-free stew is sure to satisfy any kitty’s cravings. These meals are hand packed in California into cans with non-BPA lining and are 100% free of carrageenan, guar gum and xanthan gum. Lotus is a family owned and operated business that’s dedicated to crafting food you can feel good about giving your feline friend! Crafted with real pork as the very first ingredient and pork broth for plenty of purr-worthy moisture. Old Formulation: Pork, Pork Broth, Potato Starch, Calcium Lactate, Carrots, Olive Oil, Monosodium Phosphate, Salt, Agar-Agar, Sunflower Oil, Potassium Chloride, Taurine, Magnesium Oxide, Calcium Carbonate, Choline Chloride, Betaine, Zinc Proteinate, Iron Proteinate, Niacin, Vitamin E Supplement, Thiamine Mononitrate, Copper Proteinate, Manganese Proteinate, Sodium Selenite, Calcium Pantothenate, Vitamin A Supplement, Riboflavin, Pyridoxine Hydrochloride, Biotin, Vitamin B12 Supplement, Calcium Iodate, Vitamin D3 Supplement, Folic Acid. 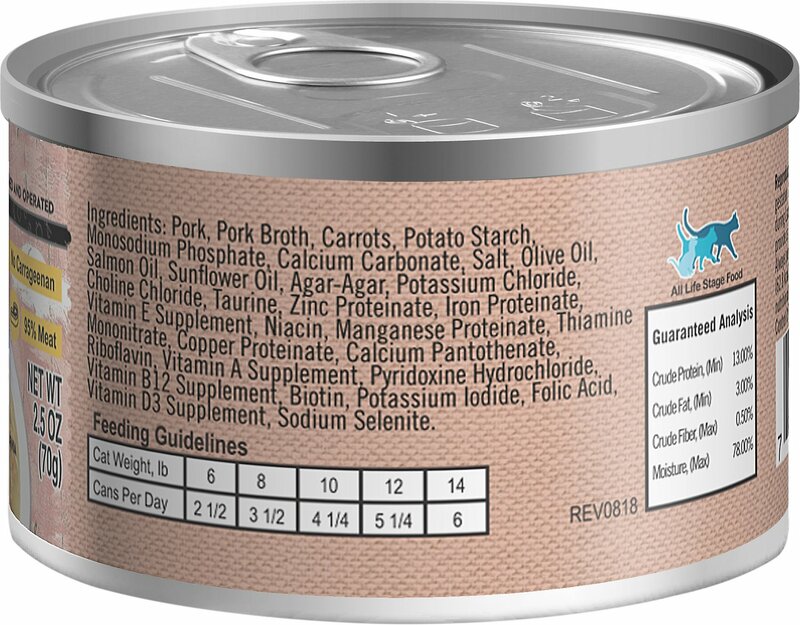 New Formulation: Pork, Pork Broth, Carrots, Potato Starch, Monosodium Phosphate, Calcium Carbonate, Salt, Olive Oil, Salmon Oil, Sunflower Oil, Agar-Agar, Potassium Chloride, Choline Chloride, Taurine, Zinc Proteinate, Iron Proteinate, Vitamin E Supplement, Niacin, Manganese Proteinate, Thiamine Mononitrate, Copper Proteinate, Calcium Pantothenate, Riboflavin, Vitamin A Supplement, Pyridoxine Hydrochloride, Vitamin B12 Supplement, Biotin, Potassium Iodide, Folic Acid, Vitamin D3 Supplement, Sodium Selenite. I was very happy to see that one of my cats likes this food. However, I can't keep buying food that only one cat will eat. So, after this case is done, I won't be buying any more. It seems like good quality food. I just wish it was more generally palatable by a wider variety of cats. My 17 year old cat likes that it is so juicy. She likes the liquid in her food better than the pieces of meat. So far she seems to really like the Just Juicy Pork. 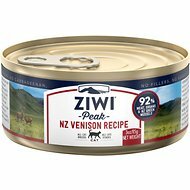 my 2 cats only like the venison and the pork, but with my last order of 24 cans of the pork, the meat/liquid looked darker to me and now My cats dont seem to like it as much now. Its a problem because as i said, they only like 2 kinds. Has anyone else noticed this? This is a winner in our family! Our cat does pretty well with most proteins (except beef). I was looking for a wet food that wasn't chicken or fish to round out the rotation. This definitely fulfills the need HOWEVER, I purchased the smaller sized cans and they were only half filled. For the price, and size, I certainly think they should be full. Good food but over half of 75% of the cans were water/liquid. My cat with IBD loves this food. It is low fat and easy to digest. Comes with lots of broth and shredded meat. The quality and quantity in each can justifies the price. We have two cats who are both picky eaters. Dougal, especially. I've gone through so many brands of canned meow, I can't remember the number. The first time I offered him this, he ate the whole can. I thought: okay, we'll see if this lasts. The next morning he was demanding some canned meow; he again ate the entire can. That evening he was again demanding to be served. Even Skeeter, who at first only ate about 1/4 of a can, came back for more and ate the entire serving. She's addicted to dry cat food, so that's a biggie! Hooray! No more partially eaten cans of food that get thrown out and replaced with more that will be partially eaten and thrown out. I received the Lotus Pork food and on the site it does not have salmon oil listed, but when I received the shipment the ingredient on the can lists salmon oil. My cat has food allergies and can not eat it. I contacted Chewy to let them know. My picky eater has put the pork in the same category as chicken. Doesn’t like that other white meat. Since Lotus is not available in nearby stores, I’m trying some recommendations from Chewy that is available nearby before I commit to ordering in bulk. 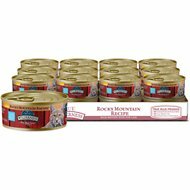 My cats love this pork wet food! My cats think this food is a treat. It is more expensive than their usual turkey Wilderness food so I rotate it in occasionally.